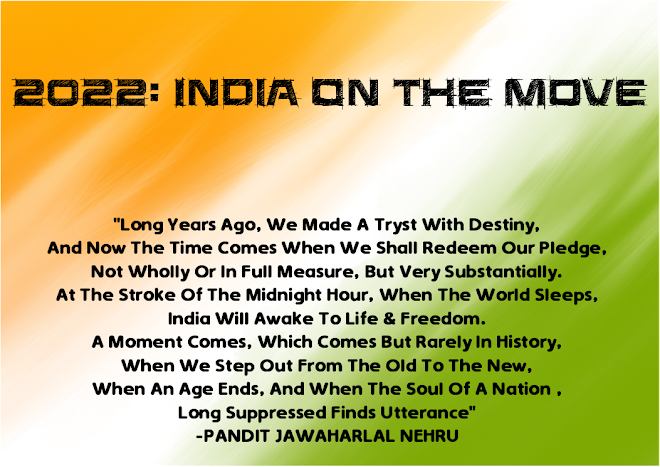 Twenty22-India on the move: A ferry from Thane to Mumbai? The daily rigorous commute between Thane and Mumbai, and Thane and Panvel could soon turn into a pleasant breezy ride. The Union ministry of surface transport and inland waterways has given a green signal to a multi-corridor waterway transport network along the two routes. At a meeting held last week to discuss measures to alleviate transport issues plaguing metros, Union minister road transport and highways Nitin Gadkari, in the presence of chief minister Devendra Fadnavis, instructed the Thane municipal corporation to prepare a detailed project report for the two routes. This is the second phase of waterway routes being proposed for the metropolitan region as an alternative to de-congest rail and road networks. 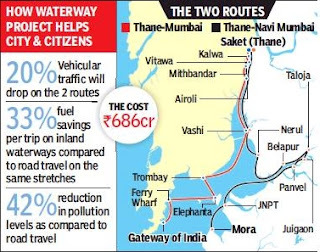 The first phase will see a waterway route from Kalyan to Thane to Vasai. 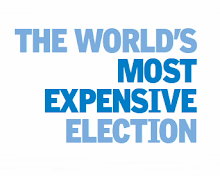 Officials said that the TMC will soon start DPR work. The routes will be between Saket (Thane) and Gateway of India via Trombay, Elephanta and Ferry Wharf; and between Thane and Panvel, JNPT. 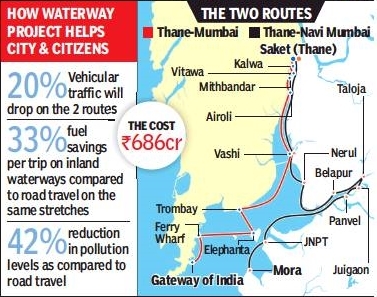 As per a pre-feasibility survey, the Thane-Mumbai waterway services will tentatively halt at Kalwa, Vitawa, Airoli, Vashi, Trombay, Elephanta and Ferry Wharf before culminating at Gateway of India. The Thane-Navi Mumbai route will connect Saket, Vashi, Nerul, Belapur and Taloja while a parallel route from Belapur will connect Panvel via Juinagar and Uran via Nerul. A pre-feasibility study was done and presented before Gadkari and Fadnavis, who gave a go-ahead to start work on the DPR. The tendering process to appoint a consultant for preparing a project report will be done soon, said an official. Once the reports are ready, the government will have to seek approvals from various agencies for the project and then appoint a contractor. Officials claim stating the waterway route could be a great relief from the dense road and railway corridor and will also save on commute time. Nearly 20-25% percent vehicular traffic will be reduced on the route once this route is made operational. The time to travel to and from Mumbai will also be cut down to barely an hour from the around 90 minutes it presently takes, said an official.